Meet the “Garden Beneficials” | What's not to like? The “Garden Beneficials” * is a group of Julian residents who volunteer in the Julian Elementary and Junior High Gardens. Monthly updates and a list of volunteer opportunities are sent to the group, and volunteers pick and choose what they’d like to be involved with based on time, interest and skill. The group is low stress, low commitment—anything volunteers choose to do will be welcomed and very much appreciated! Garden Beneficials will also be invited as special guests to garden events throughout the year. *As you may know, in the world of gardening “beneficials” are insects that do small but important work, like the ladybird beetle eating the aphid! The first person to join was a retired woman who got in touch with me this summer, offering her gardening services. An absolute dream of a volunteer, she has come out to weed, to straighten out the ribbon garden, and to help with garden lessons on Wednesdays. Recently a neighbor donated a sweet and little but old and weathered bench to us, after having toured with garden the Julian’s Women Club. My (unnamed, as she prefers) volunteer took it home, refinished it and had her neighbor help with painting the little animals. As you can see, it is adorable! 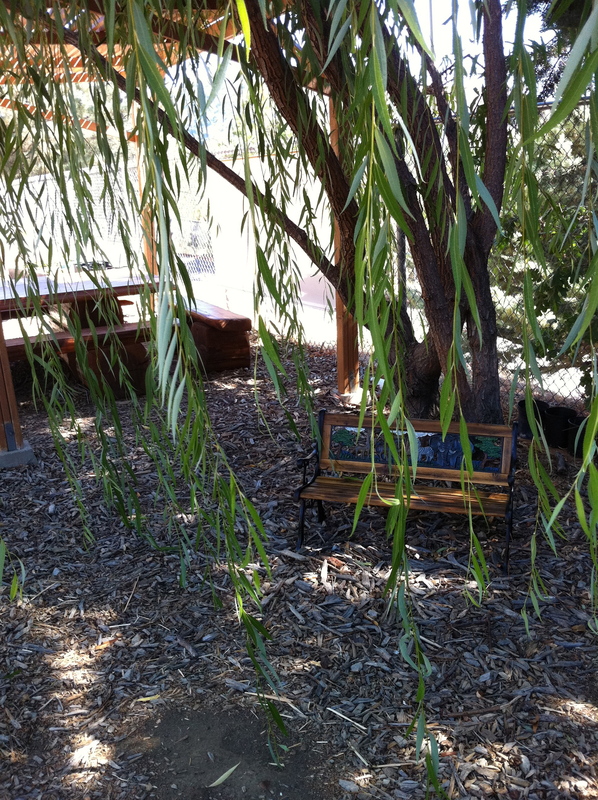 For now it is under the willow tree, inviting kids to come sit under the swaying leaves. This entry was posted in Community and tagged community, garden bench, gardening, school garden, volunteers by kidsingardens. Bookmark the permalink. I have the benefit of a Master Gardner beneficial on all my botanical questions.advantage dad…..
At your service…just remember, I don’t know anything about palm trees. I love the idea of humans being seen as “beneficials” in the garden. Thanks! At first I hesitated as in “Is-this-Tricia-trying-to-introduce-vocabulary-all-over-the-place-and-do-we-always-have-to-learn-something?” hesitation. But it made me smile, so I went with it. 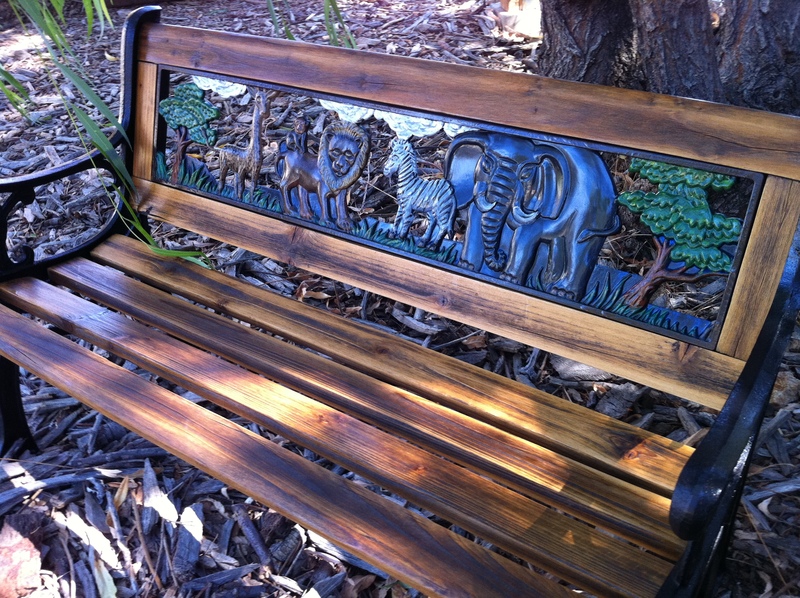 Fabulous bench! Are we lucky to have Garden Beneficials!